This summer I am posting the "best of" The Blunt Bean Counter blog while I work on my golf game (which is not going well by the way, as my handicap has gone up 3 strokes since the beginning of the year). Notwithstanding my handicap increase, I just came back from an awesome trip to Cabot Links. The picture below of the 16th hole at Cabot Cliffs is a bit deceiving since the tee is actually to the left and further up, but it is a blind shot to a two tier green so no day in the park. Plus, when the wind blows it is crazy. The first day with no wind I actually hit to within 15 feet of the pin, the next day with huge winds I aimed ten yards out to the ocean and the ball still blew left of the green, pretty crazy. Anyways, back to the topic at hand. Next week I start a three-part series on cottages, but today, I am re-posting a March 2015 post that discussed how small corporate business owners can take advantage of the Capital Dividend Account ("CDA"). Given I had over 80 comments, it was of definite interest. As per my post last week, Tax Planning Using Private Corporations - The New Liberal Proposals there may be future tax changes that impact the CDA. However, at this time, I cannot state with any certainty how those changes may impact the CDA account. If you are a private corporate business owner, you may be sitting on a treasure trove of tax-free money. Yes, I said tax-free money. The source of these “free” funds is the CDA, which I discuss in greater detail below. Although a CDA account is most often found in holding/investment companies, the largest accounts are often generated in active companies who have sold all or part of their business. Private business owners often discuss with their professional advisors whether they should take salary and/or dividends, which are both taxable to the owner when paid. 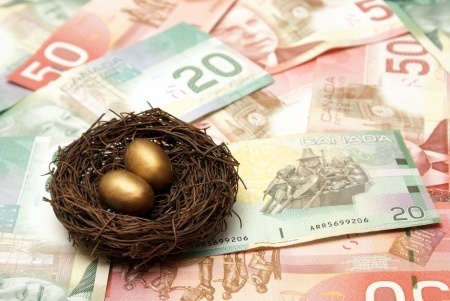 However, surprisingly, the possibility of paying a tax-free dividend is often overlooked, which is possible if the dividend is paid from the Capital Dividend Account (“CDA”) of a private corporation to a Canadian resident individual. 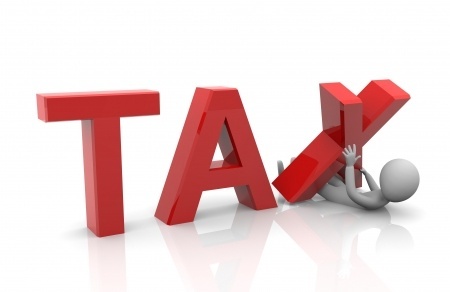 (i) if the company earns a capital gain which is 50% taxable, the half that is not taxable is added to the CDA. (ii) if the company was paid a capital dividend from another company it invested in, that amount is not taxable and is added to the CDA. (iii) if the company sells a particular eligible capital property (“ECP”) in the year, the portion of the gain that is not taxable is added to the CDA. Please note that the addition to the CDA occurs at the end of the year in which the sale of the ECP took place. 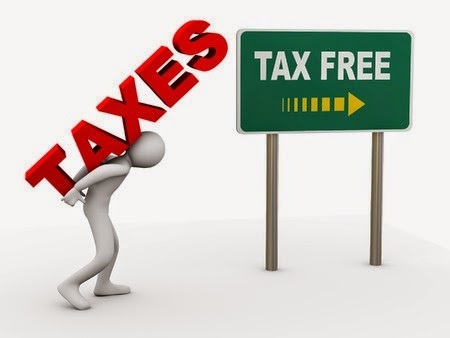 As a result, the CDA cannot be paid out tax-free until the first moment of the following taxation year (there have been significant changes to the ECP rules since I wrote this post, please speak to your accountant. For reference, I wrote this blog post on the changes). (iv) if the company receives proceeds from a life insurance policy which are considered to be non-taxable, this is added to the CDA. (v) if the company incurs a capital loss, 50% of such amount that will not be deductible in the current or future years against capital gains and will reduce the CDA. i) For the dividend to be tax-free, the company needs to make an election on Form T2054 - Election for a Capital Dividend Under Subsection 83(2), which is due to be filed with the Canada Revenue Agency on or before the earlier of the day that the dividend is paid or becomes payable. A certified copy of the Director(s) resolution authorizing the capital dividend and a detailed calculation of the CDA at the earlier of the date the capital dividend is paid or becomes payable must accompany the Form T2054. If the Form T2054 and attachments are filed late, a penalty will arise. 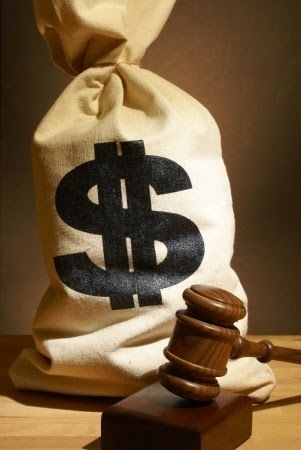 ii) If the Canada Revenue Agency reviews the election and determines that the capital dividend paid (or declared) was too high, then a penalty, equal to 3/5 of the excess of dividend over the CDA balance available, will arise. It is possible to avoid such penalty if an election is made to treat the excess portion as a taxable dividend at the time it is paid, and such election is filed within 90 days after the date of the notice of assessment in respect of the tax on the excess, noted above. To avoid these negative consequences, it is important to properly calculate the CDA. iii) The CDA is a cumulative account from the date of incorporation (assuming it has always been a private corporation). If the company has not previously filed a Form T2054, it will be necessary to review the historical capital gains and losses and corporate activities from the date of incorporation to the date of the dividend in order to determine the correct CDA balance. iiii) The CDA is paid at a moment in time. 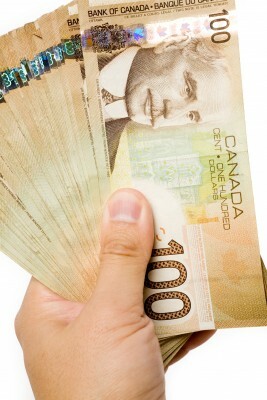 If you have a CDA balance but incur a loss the next day, your CDA balance is reduced. Thus, in general, it is prudent to pay a CDA dividend when the account reaches a material amount (this amount is different to each person) so that you do not take the risk of a capital loss reducing the balance in the account. 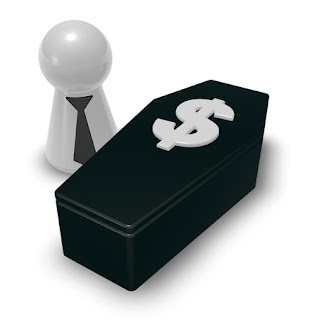 If you pay a capital dividend and then incur a capital loss, the account can go negative. Further analysis may be required for any non-resident shareholders, since a payment from the CDA to a non-resident of Canada is subject to non-resident withholding tax and the dividend may be taxable in their country of residence. Some companies reflect capital dividends by adjusting journal entry (“AJE”), rather than paying the actual dividend. Where the dividend is paid by AJE, the shareholder loan is credited. This creates a tax-free loan owing from the company to the shareholder. The CRA has stated that an AJE on its own does not constitute payment of the funds and that a demand promissory note accepted by the recipient as absolute payment together with an indication of such an intention in the resolutions is at a minimum required to have the dividend considered paid and received. Where a company has had more than one accountant and/or has amalgamated with other corporations in the past, the determination of the CDA can be problematic. The CRA now allows you to file Schedule 89 to help your verify the account. Note, they may only verify part of the years, so for older companies, this may still be problematic. Speak with your accountant to see if your private company has a CDA balance. If so, paying out a capital dividend should be considered as part of your Company’s overall remuneration strategy. I am going to set aside my summer "Best of The Blunt Bean Counter" series for one week, to provide my comments on the new tax proposals for private corporations set forth by the Liberal government last week. On July 18th, Finance Minister Bill Morneau released a consultation paper and related draft legislation proposing changes to how private corporations will be taxed moving forward in the name of tax fairness. I would suggest most private business owners and professionals using PC's in particular (the government seems to take umbrage with professionals) are going to be very upset by these proposals. 1. Determination of labour contributions by children. The rules will be different for those 18-24 than for those are 25. 2. Review of capital contributed to the business. Again based on age bracket tests. These rules will significantly change how many families remunerate the family unit. In addition to restricting salaries and dividends, the proposals will also restrict the use and multiplication of the capital gains exemption ($835,716 for 2017). Children under 18 will no longer qualify for the LCGE ("Lifetime Capital Gains Exemption") and for other family members that were subject to the reasonableness provisions; the LCGE will be restricted or eliminated. Capital gains allocated out of a family trust will now generally not be eligible for the LCGE. These rules will be effective for 2018, however, transitional rules are being proposed. Currently if a corporation earns less than $500,000 the company pays tax at 15.5% in Ontario and a similar amount in each province. This results in a tax deferral, not a tax saving of up to 38%. This deferral provides corporations money to grow and invest and create jobs. The government is concerned that where this money is not used to grow the company but invested passively in GIC's stocks, others companies, real estate, etc. it is unfair when compared to a salaried person. The government is proposing to now tax this 38% deferral. The proposals of how to do this are beyond complicated and I really don't understand the concern here (the government is asking for feedback to determine to how best implement this, thus, there is no timeline on these provisions as of yet). This is a tax deferral on risk capital and not an absolute tax saving. As per my various posts on whether to use a RRSP or leave the money in your corporation, many small biz owners are leaving money in their corporations and using this money to fund their retirement; so this will have a huge impact on many people. The proposals include various provisions to prevent income from being converted into capital gains. I have no issue with this general provision as much of the planning is a pure tax play. However, as of now, some tax commentators suggest the proposals appear to have potentially created possible double tax on death where standard "pipeline planning" is undertaken. Essentially where the estate would have had a capital gain, that gain may become a dividend which is taxed 15-20% higher than the capital gain. Many private business owners have purchased insurance to cover their estate tax and the insurance may now be insufficient.These measures will be effective as of July 18, 2017. The proposals are very complex and I have simplified them for discussion purposes above. We need to see the final legislation after the consultation period and work through the implications before definitive answers and planning can be undertaken. That being said, will you have to close down or wind-up your private corporation or professional corporations or wind up your family trust? My preliminary thoughts are if your corporation has large retained earnings there would be a significant tax cost to wind up your corporation and thus you would likely still maintain the company (I say this because it appears the proposals will not impact prior earnings and/ or prior refundable taxes earned and thus, these retained earnings would not be subject to the potentially punitive rules). If your company's retained earnings are not significant, the answer will be less obvious and there will be other issues to consider such as asset protection and the adjusted cost base of partnership interests for professional corporations etc. While new corporations will not have the same income splitting and tax deferral benefits, they will still likely make sense for asset protection purposes and if you may be able to access even one LCGE exemption and /or you will be using profits to invest back in the business and not for passive purposes. The incorporation of new professional corporations likely will no longer make sense for tax deferral purposes if all the PC income is taxed at the highest marginal rate, but they may still make sense for other reasons, but I would expect their use to be curtailed. It is too early to definitively answer any of the above questions, but those are my initial thoughts. In conclusion, the impact of these proposals is potentially massive. This is in essence a regime change and not a tinkering of the current rules. Unfortunately, I don't think most small business owners have any idea what is about to hit them in the next few months. Thank you to everyone who completed the financial/wealth survey linked to my June 19th blog post. The response was great. Since I do not publish last names for privacy purposes, there may be more than say one Richard S. However, if you were a winner, you will have already received an email informing you that you won a book and asking you for address details. So if you are a Richard S. that did not win, sorry about that. Tomorrow I start my "Best of the Blunt Bean Counter" series for the summer. This summer, I will again be posting a “Best of The Blunt Bean Counter” blog each week; so I can spend some time golfing and enjoying the good weather with my family. 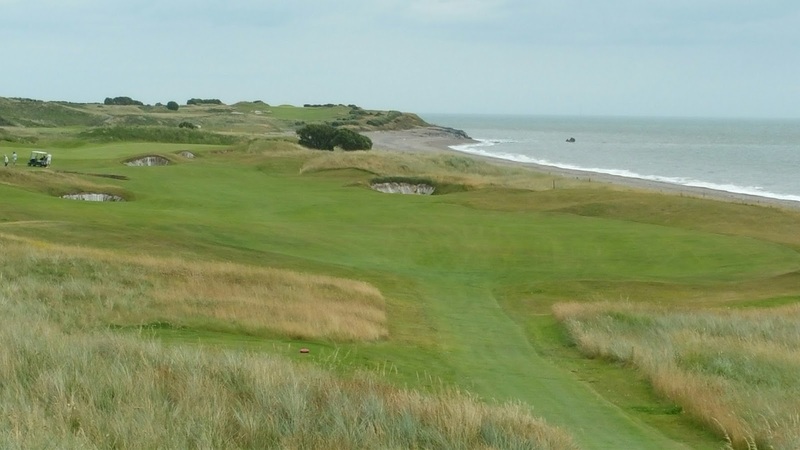 I am really looking forward to a golf trip to Cabot Cliffs in Nova Scotia later this summer, as it was ranked as the best new course in the world in 2015 and is now constantly ranked as one of the best courses period in the world. I am sure this trip will result in a blog post with pictures. As this is now the fourth year in a row that I have posted my "Best of" during the summer, as I stated last year, maybe at this juncture, a more appropriate title should be; "The Sort of the Best of The Blunt Bean Counter". Anyways, you can read them again if you wish and if not, I won't take it personally. Next September, will mark the blogs 7th anniversary. As I noted in my blogger got the blues post last fall, it is getting difficult to keep this blog fresh and for me to keep writing each week or so. I thus will use the summer to consider a couple suggestions people have made to me to re-energize the blog and myself (including one from my son and daughter to do a sort of Blunt Bean "let me tell you" editorial type post), so we shall see where that goes. While I am navel gazing, enjoy your summer. In my experience, the best investment managers that my firm and clients work with stress three particular investment themes. I don’t think the above mentioned priorities were picked out of thin air. These are the true concerns of high net worth individuals and were discussed in a 2012 Forbes Magazine article titled “What High Net Worth Investors Really Want" by Andrew Klausner. While this article is now almost five years old, I still find it as applicable today, as when it was written five years ago. I would also suggest that even if you are not a high net worth person, these priorities would still be important to you. It is somewhat surprising, maybe even shocking, that beating the market is nowhere to be found on this list. I find this interesting since when you hear people talk about their investment advisors results, they are often bragging about how they beat the market. Maybe these are just the type of people I noted in my blog post on investment bravado. If you were surveyed, would your three top selections be maintenance of your lifestyle, protection of your capital and growing your wealth (college funding is typically a higher priority in the U.S. than Canada, so I moved it arbitrarily down the list. But with the increased costs to attend University in Canada, it is likely a high priority for Canadians, but I am not as sure as high as for Americans)? If not, you may want to revisit the priorities you have for your advisor and yourself. Thank you to everyone who has completed the financial/wealth survey linked to my previous blog posting. The response has been tremendous. I will announce the five winners the week of July 17th.